Today’s Her Process episode is a fun one for me because I’m talking with a fellow podcaster! 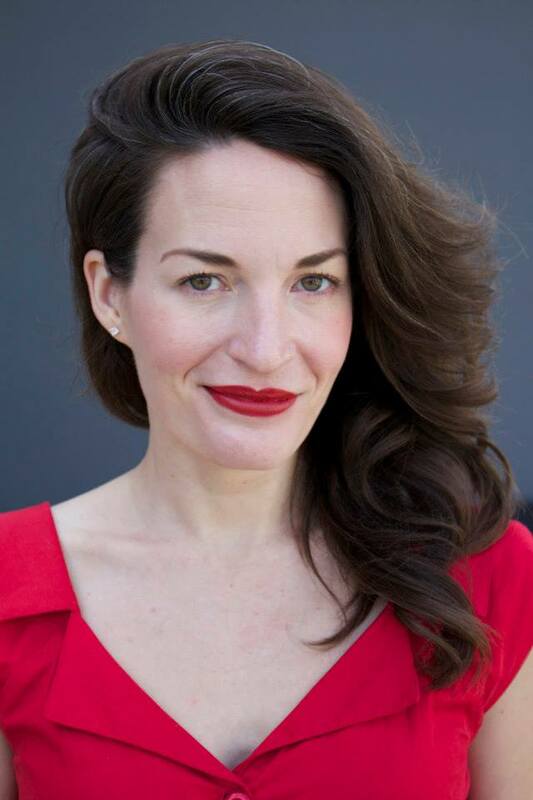 Her name is Kitty Lindsay and, in addition to acting, writing, directing, doing sketch, and improv, she also hosts one of my favorite pods, Feminist Crush! Road trips with my partner Brian bring me so much joy. We embarked on our first road trip together back in 2012 when we drove cross-country from New York on our way to Los Angeles. Growing up, my family didn't travel much around the United States, so me and Brian's cross-country trip really opened my eyes to just how naturally beautiful America is. And now road trips have become an annual tradition for us. In September, we drove through Joshua Tree, CA, Sedona, AZ, and Santa Fe, NM en route to Denver, CO. It was magical! Good driving music is essential to successful road trips. And so are quality car karaoke selections! I've given some of my best performances (like, ever!) singing along to tunes in the car. My top 3 classics to cover in-car? "Welcome To The Jungle" by Guns N' Roses, "Wanted Dead Or Alive" by Bon Jovi, and "Gangsta's Paradise" by Coolio. Rock on! Hiking restores me spiritually. I live at the foot of Runyon Canyon in Hollywood and I hike there often. But my favorite hikes take me to another place, literally and figuratively. Last year, Brian and I hiked The Narrows at Utah's Zion National Park. It was incredible! This year, we hiked Devil's Bridge, Sedona's largest natural sandstone arch. And in Colorado, we stopped at Great Sand Dunes National Park and hiked miles of soft sand in the heat! All transformative experiences for me. Books make me happy. I've always loved to read (I learned to read when I was 3 years old) and my dad is a lifelong lover of books, too, so whenever he went to the library or to the Walden Books at the mall, he'd take me with him. Today, I love to spend the whole day at bookshops that I love just browsing books. And LA has so many wonderful bookstores! Samuel French Film & Theatre Bookshop in Hollywood, Skylight Books in Los Feliz, and Small World Books at Venice Beach are among my favorites. I love Valentine's Day. I was born on February 17, but I was supposed to be born on February 14. So, every year my parents celebrate both Valentine's Day and my birthday in a big way. (Yes, I'm spoiled rotten.) Plus: chocolate candy, red roses, and warm hugs? What's not to love?! My gosh, I already thought she was super cool, and now…well, let’s just say she’s definitely my feminist crush! So without further ado, kick back and please enjoy my chat with the multi-hyphenate, multi-talented, Kitty Lindsay! And now, here’s episode 53.5. It’s 5ish minutes long, and a great way to get into the mind of this awesome artist. Find out what makes Kitty tick, rapid-fire q & a style. My fav answer from this episode was to the question of how to get over that creative lull. So simple. Why haven’t I thought of this?? How does Kitty do it? Listen and find out! If you like what you heard, please hop over to iTunes, iHeartRadio, Stitcher, Spotify or YouTube to subscribe and leave a review...or some stars, or a thumbs up. The more reviews, the greater chance more listeners will find the show and be inspired by the amazing artists I get to chat with here on Her Process. And if you aren't sure how to leave a review or stars on iTunes, check out my Instagram stories for a step by step guide!